October | 2011 | Professional Use Only, No Warranty. 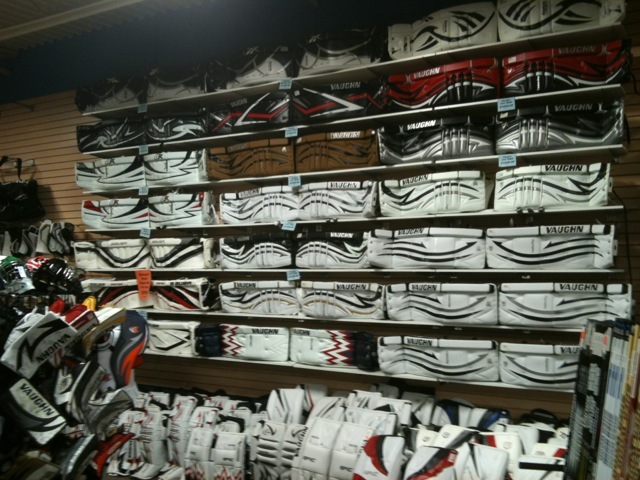 We get lots of emails from readers each day wanting to know where they can acquire pro stock hockey equipment. 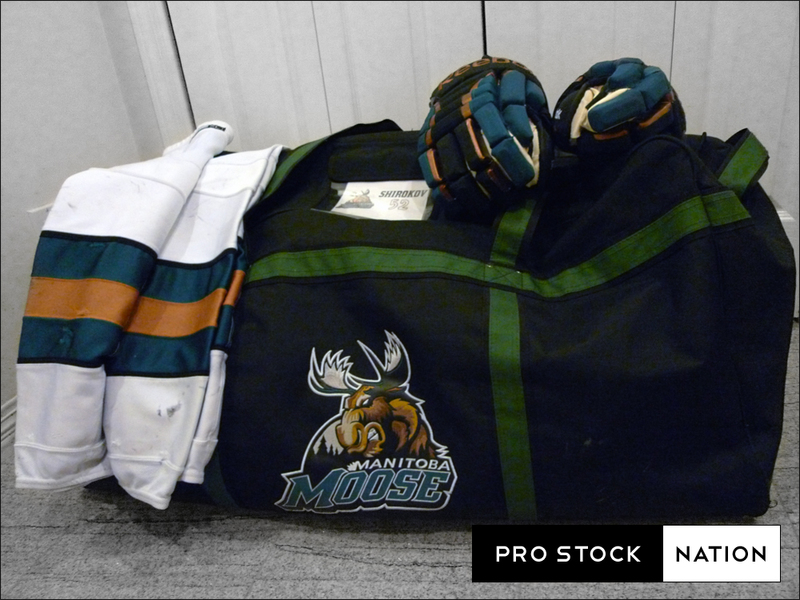 In the previous post I showed off my latest pick ups of a Manitoba Moose pro bag ($99), socks ($15) and gloves ($99.) 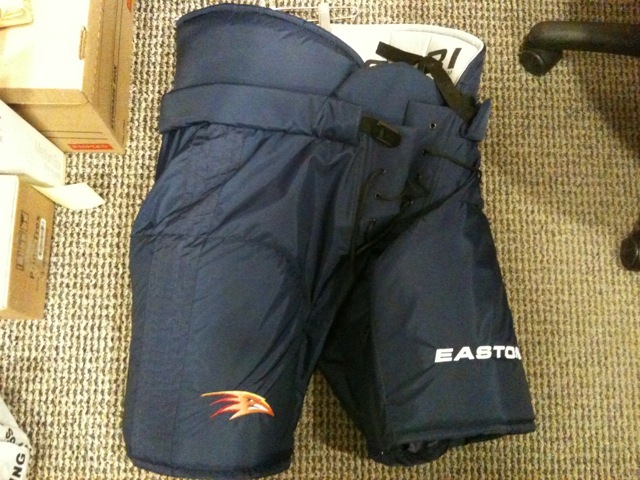 With the Atlanta Thrashers relocating to Winnipeg and the Manitoba Moose leaving for St. John’s, the remaining equipment was sold by True North and made available to the public. 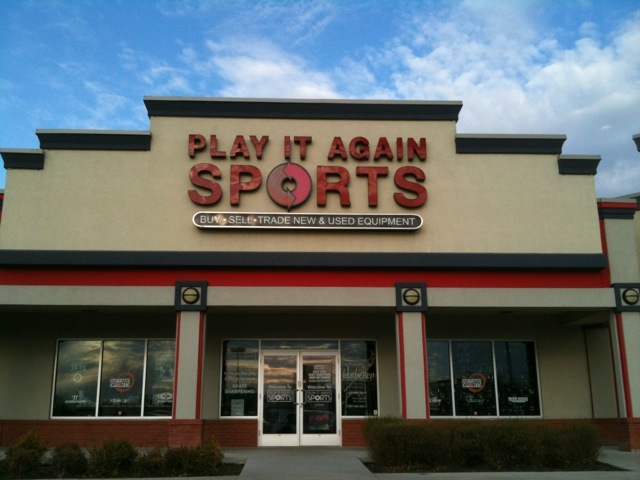 On top of selling brand new and used retail sporting goods; Play It Again Sports in Winnipeg also carries a range of pro grade equipment. 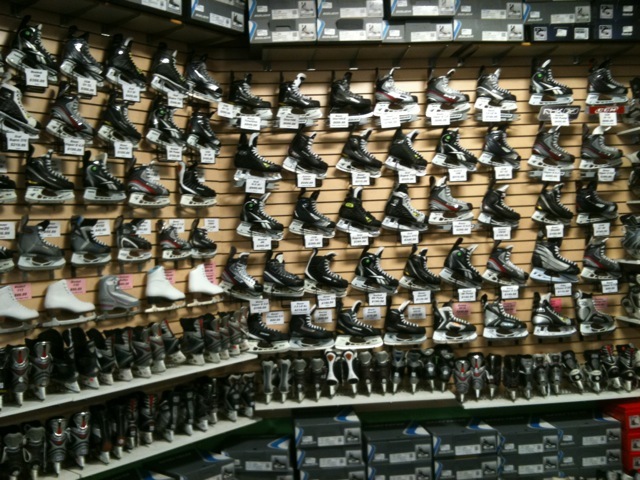 You’ll find pro stock equipment from the Atlanta Thrashers, Manitoba Moose, the Canadian World Junior Program and other clubs as well as closeouts from your favorite manufacturers. 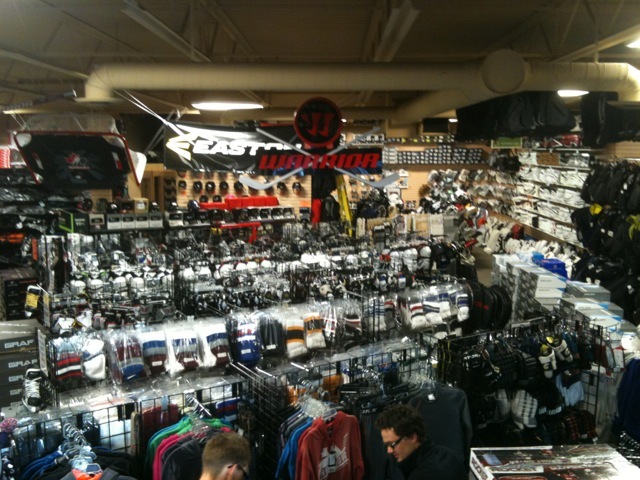 They will also be carrying new and used Winnipeg Jets gear once the season is finished. 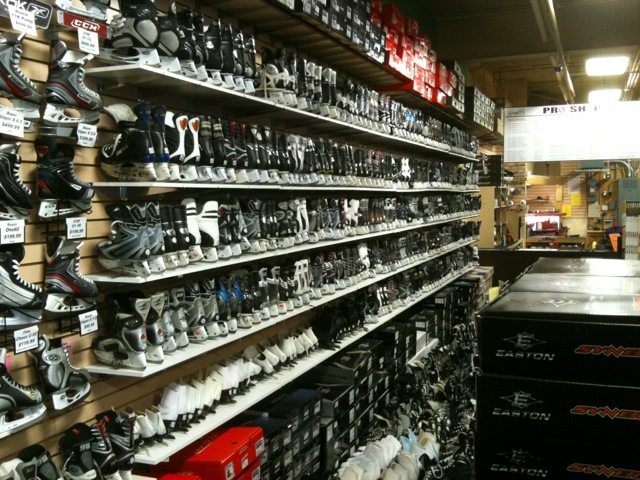 As with any shop that carries pro gear, the inventory changes often so contact them directly to see what they have in stock for you. Tell them ProStockNation.com sent you and be sure to share your purchases with us! What do you all think? Most of the pro bags I’ve seen are made of vinyl and they rip easily. This Moose bag has one of the highest quality nylon I’ve ever seen. 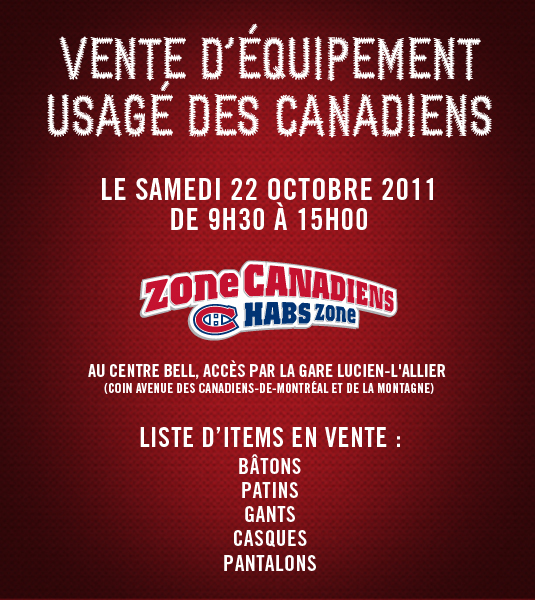 Looking for Manitoba Moose gear as well? We’ll tell you where this weekend! 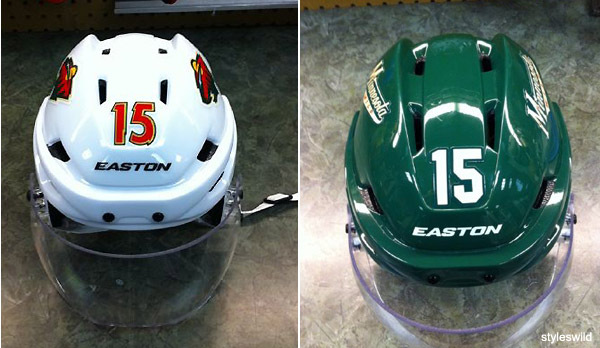 Tony Da Costa, Head Equipment Manager of the Minnesota Wild posted these pictures on his Twitter account (@styleswild) yesterday. 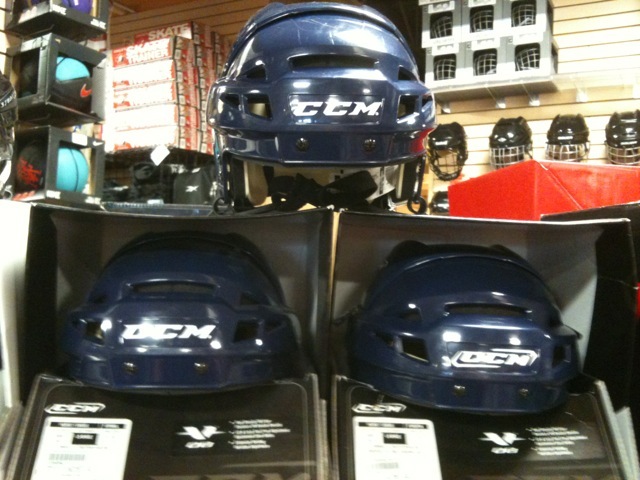 Player numbers will be added to the front forehead (centered) location of all player helmets at the start of this season. 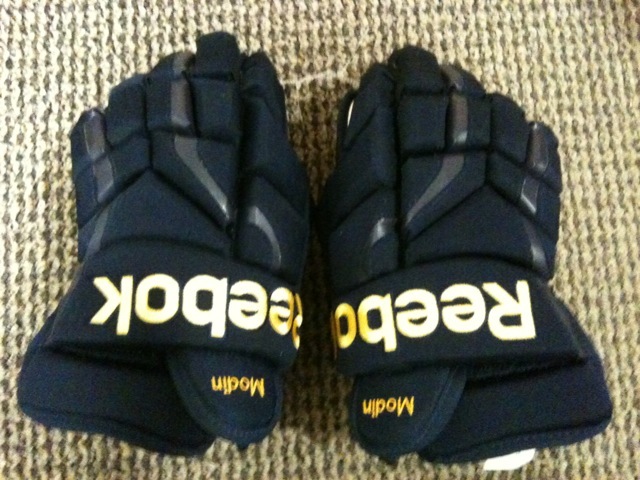 Front numbers are not required to be placed on goaltenders headgear. Also note, this year Easton is another brand that is changing from their familiar “E” logo in favor of the word mark on their helmets. 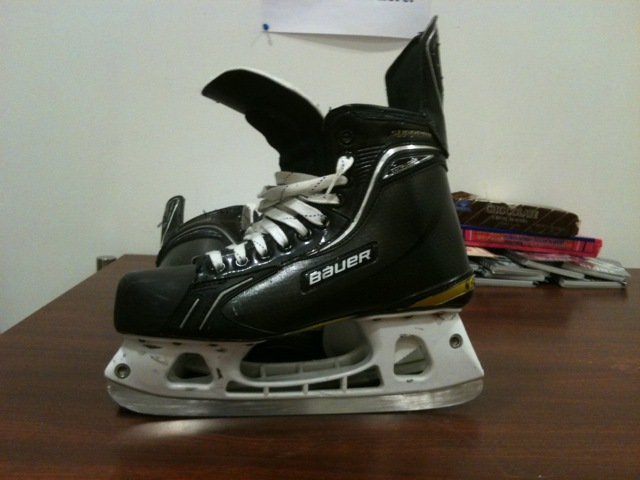 While many people don’t seem to like the changes at first, Bauer has done this for years. They stopped using the “Flying B” and few people put up a fight about “BAUER” being written across the front of the helmet. Are you in favor of these new changes? Can you name another sport which requires both front and back numbers on helmets? 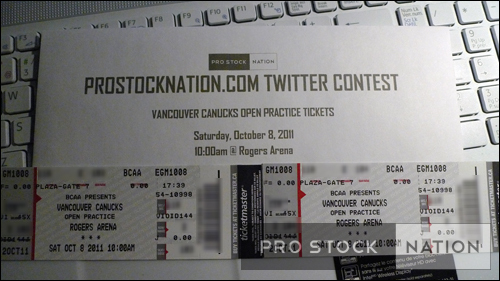 Win a Pair of Row 2 Tickets to the Vancouver Canucks Open Practice! The Vancouver Canucks will be holding their annual Open Practice at 10:00AM this Saturday, October 8. 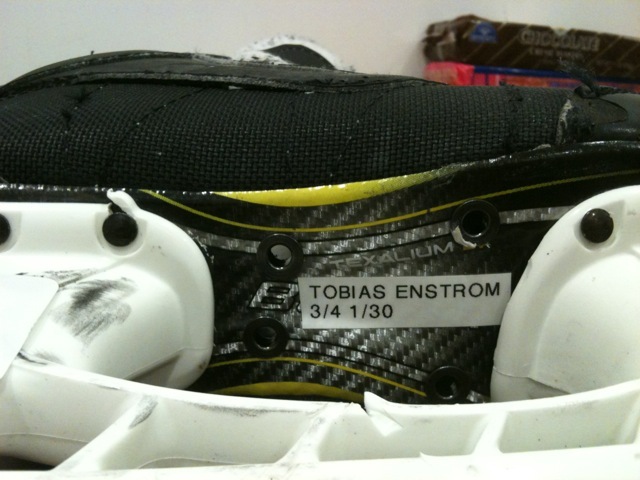 2011 at Rogers Arena. One lucky winner will be announced on Thursday Morning. 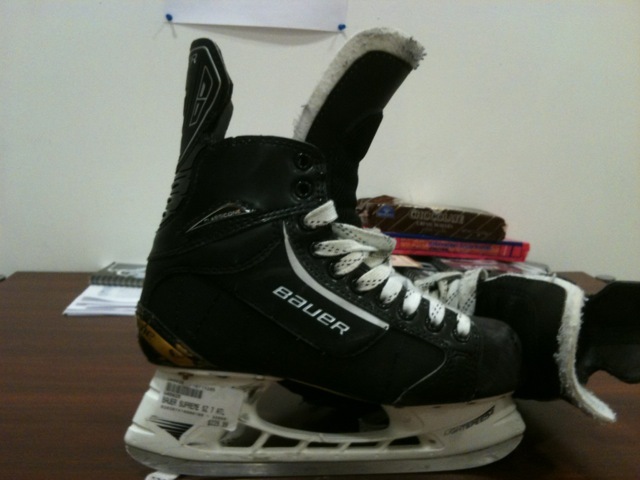 Rumor has it these tickets are close to the Canucks’ bench! You are currently browsing the Professional Use Only, No Warranty. 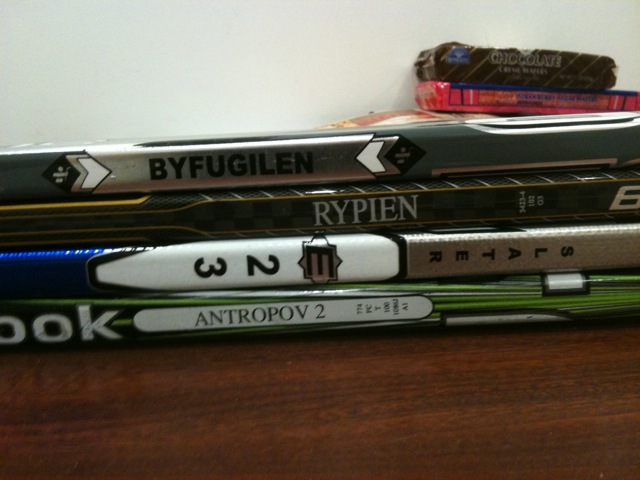 blog archives for October, 2011.